Just wanted to let you know that I´m a proudly Winner in the Design Competition this year. (I made it into the Top Ten! yeah!). Just wanted to thank the jury for chosen me as a finalist and all the people who voted for my design during the voting time. Big Thanks from the bottom of my heart, you made one of my dreams come true. Did you know i’m in love with beautiful stationery? These are my entries for the @golden.coil design competition. I’m really into unfinished florals latelly. 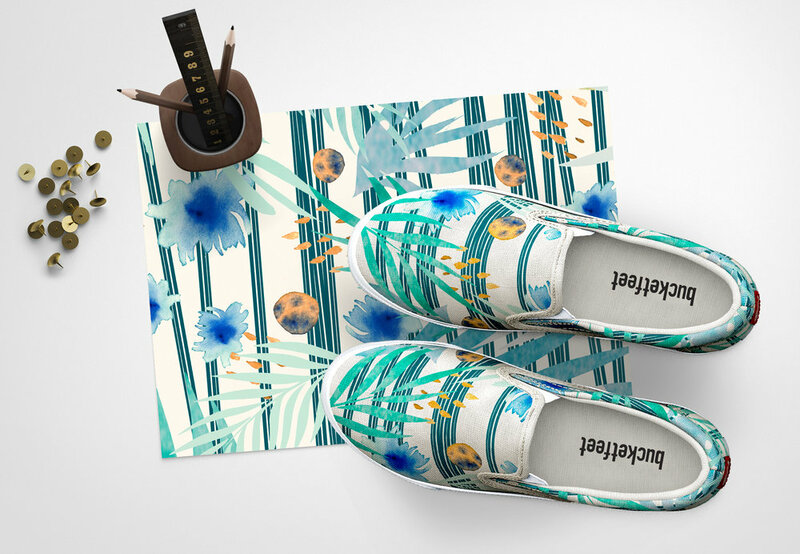 So happy to see my Summer Stripes design is now available for pre-sale at @bucketfeet. (only for the next 20 days !) . Order now and you will receive them in 2 months just in time for the summer. S6 FEATURED : "NEW COOL PRODUCTS" . This time was via the society6 new week "cool products". The artwork featured was "CALI VIBES" Wall Tapestry. Thanks Society6 for including my "Winter Leaves Mandala" Leggins in their 2016 Festival Style Lookbook. Thanks to Society6 for including my "Winter Leaves Mandala" Pillow in their curated collection named "Pillow Picks". Just noticed that my Blue Organic Mandala is featured as a part of the Society6´s Mandala Collection. Aren´t they beautiful ??? I want them all ! Redbubble Sale extended: 20% off stickers, cases, mugs, pouches and notebooks. Use code STOCKINGS. Beautiful but tough . Only available for Iphone6 + Iphone6s. Ok, Summer is almost over and i think it´s a good time to celebrate with some free cases from Casetif !! ✭✭✭ Tag one friend and if you win, you both will receive a free case with one of my designs . El verano esta llegando a su fin y que mejor manera de celebrarlo que con un #sorteo ? ✭✭✭ Menciona a un amig@ en los comentarios y si ganas os llevareis ambos una carcasa a elegir . 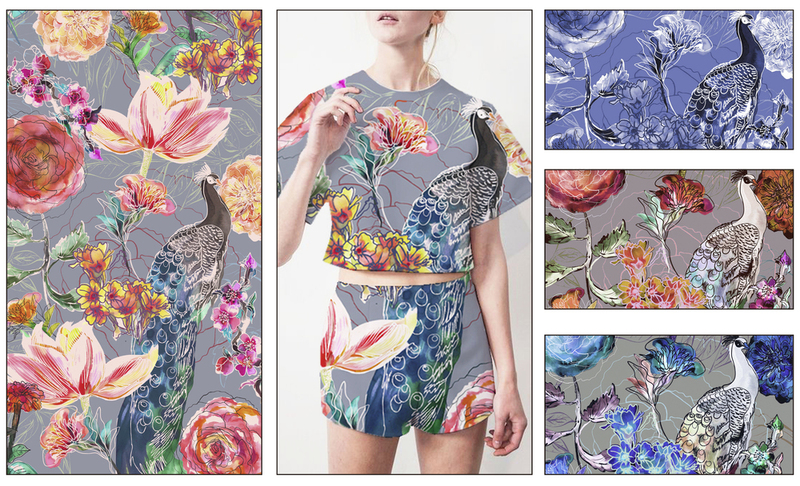 Recently i´v entered the Jovoto design contest called "Chinoiserie-Chic" in collaboration with my friend Ninola. Comments and votes are really appreciated, hope you like it ! May de Creative Mindly ha organizado un bonito Sorteo Campero, con cosas handmade bonitas de verdad y hechas con mucho amor. Asi que ya sabeis, apuntaos y mucha suerte ! I´m glad to let you know that a work a did 3 years ago is now case of the week on THEKASE. TheKase is a french franchise for mobil and electronic devices with shops around the world and also a web shop. I think this case is really perfect for summer the summer days. I´m happy to announce that now i form part of the new spanish company called "Señor cool" ( Mr. Cool in english). They are brand new and are trying to help independent designers to show their works to the rest here in Spain. Is nice to see spanish companies growing doing what they love . I wish they were more initiatives like that in my Land. I want introduce my new collaboration for VIDA VOICES. One of my designs in on production already. If you like them as much as i do, don´t forget to visit my VIDA Shop. Check out my designs featured in the new Casetify Apple Watch Collection. I´m a freelancer surface designer based in Spain, in love with forms, colors, fashion accessories and home decor. I´m always available to help or collaborate with other designers and new brands. If you have an enquire or want to know more about me and my work don´t hesitate to contact me. Soy una diseñadora española freelance enamorada de las formas, los colores y los estampados; puedes ver mis estampados en accesorios, moda y decoracion de hogar. 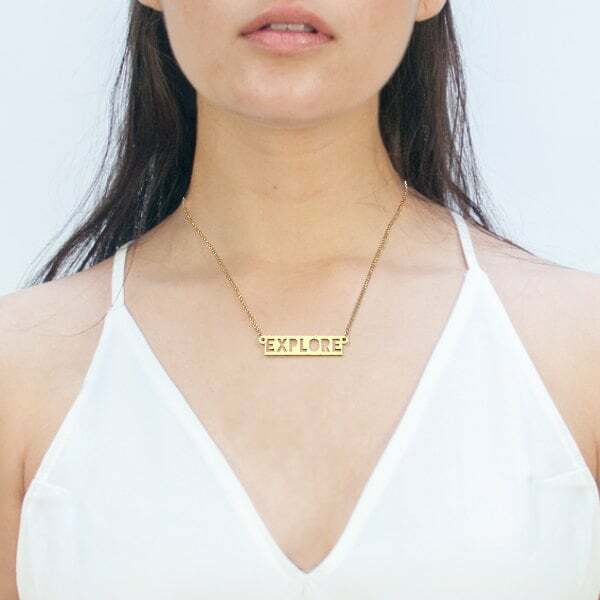 Me encanta colaborar con otros diseñadores, marcas y empresas. Si tienes alguna pregunta o quieres saber mas sobre mí, no dudes en contactar conmigo. Me encantaría escuchar tu propuesta.